Color is determined by nature. Each diamond has its own unique shade of color, from completely colorless to fancy yellow, pink and more. Clarity represents the inclusions (or absence of inclusions) in a diamond. Inclusions are internal characteristics caused during the crystallization process - nature's fingerprints. Like snowflakes, no two diamonds have identical inclusions. Our diamonds are free of black inclusions and inclusions that are visible to the naked eye. We'll leave those inferior diamonds for our competitors. Cut refers to the proportions and facets a diamond cutter chooses to bring the diamond to life. A well-cut diamond will act as a prism and reflect light back out the top (or table), creating the maximum amount of brilliance possible. Nature controls the color and clarity, but it’s the cutter's skill that makes a diamond truly sparkle. We are rigid in the cuts we select. Only the finest, most brilliant cuts are chosen for our store. Carat Weight is determined by the cutter and by nature. 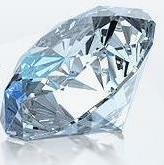 The other three C’s being equal, the larger the diamond, the rarer it becomes. The 5th "C" - Confidence in your Jeweler - is something you can't get on the internet from someone you don't know and will never meet. We didn't just open our doors yesterday - we have a 50+ year history of honesty, integrity, and the best customer service anywhere. With the hands-on, personal buying experience you get at C.W. Smith Jewelers, you’ll know that you can't buy a better diamond at a better price anywhere else. That’s confidence.